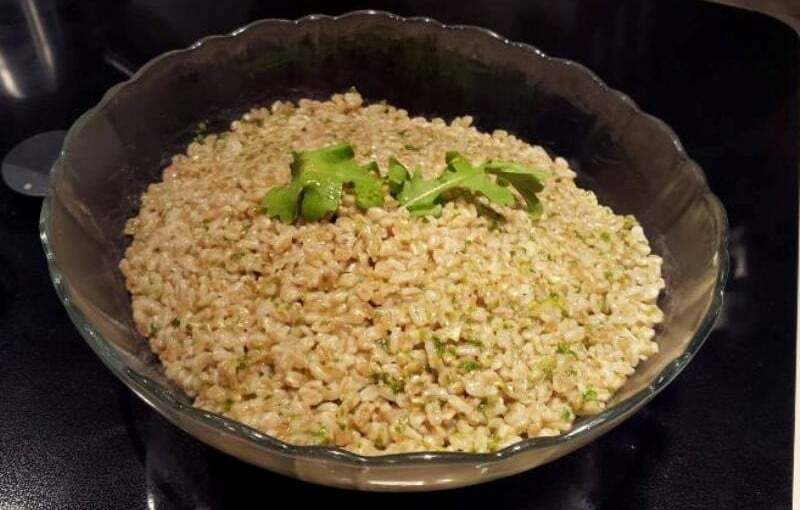 Here is my quick and easy recipe for farro with arugula pesto dressing. It can be served warm or chilled, as a side dish or as a salad. Farro is the grain of a type of wheat, and there seems to be a bit of controversy over what type of wheat. Served as koliva, farro is sweetened with powdered sugar, mixed with pomegranate seeds, and sesame seeds. It is decorated with the Sign of the Cross in little silver candies, blessed and given to parishioners after Greek memorial services to symbolize the cycle of eternal life. I use organic Italian pearled farro that I buy at Costco. 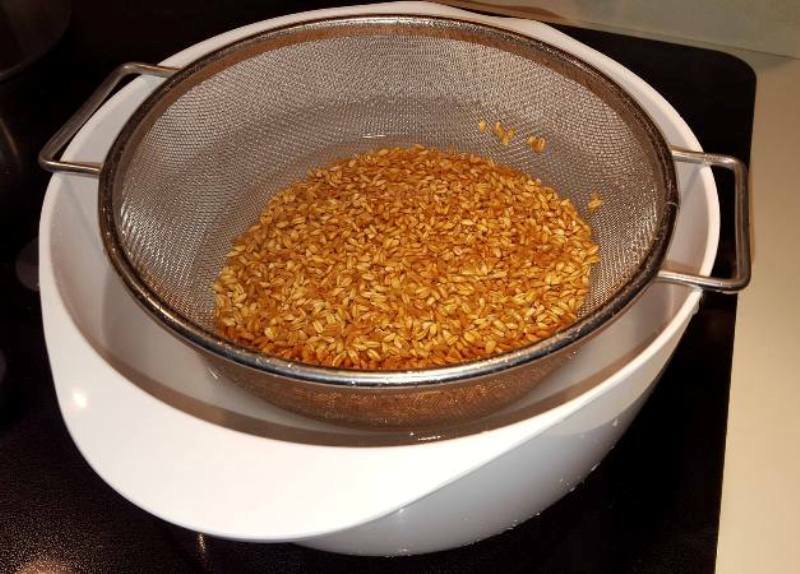 You should rinse the farro and also let it soak in fresh water for at least 20 minutes before cooking. TIP: use a fine mesh colander when you are soaking it. This makes transferring it into the pot of water much simpler. Using 2 1/2 to 3 cups of salted water and 1 cup of farro, bring it to a boil, and let simmer for 20 minutes until al dente or until the desired level of chewy-ness. Usually, there are cooking instructions on the packaging. 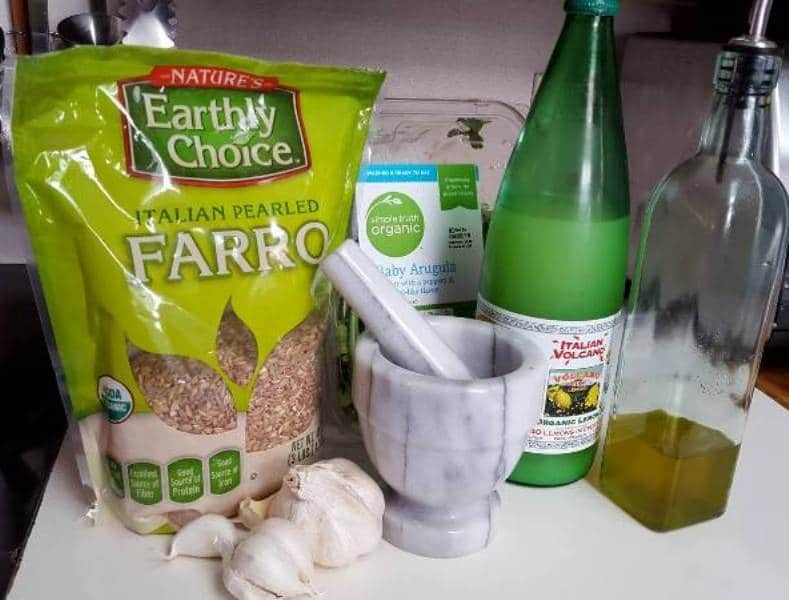 Farro is very versatile. 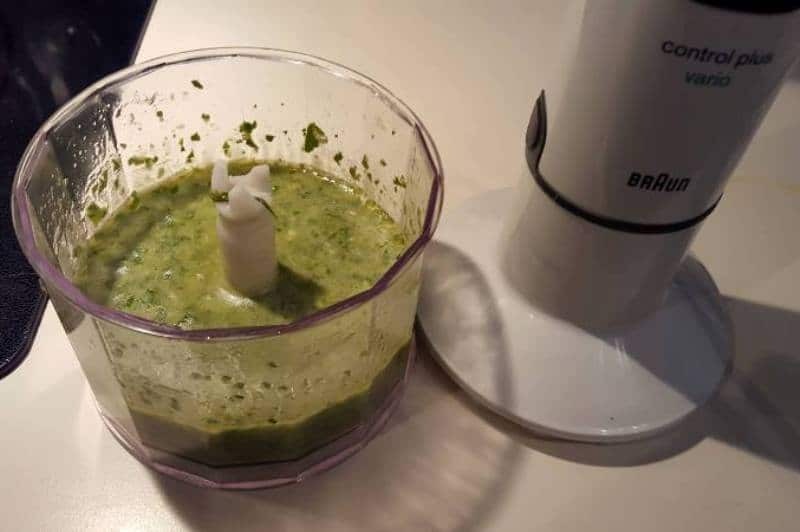 I have used it in place of rice or quinoa many times. 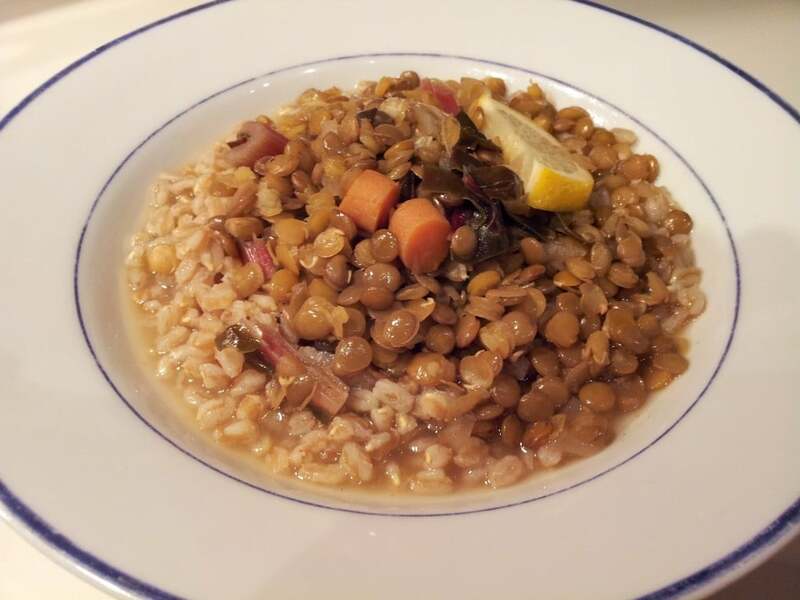 Here I used it with lentils; cooked with onions, carrots, Swiss chard and lots of lemon. Previous Previous post: Pumpkin Bread… because PUMPKIN!